Once the Big Four's line into Cleveland from the south split off from the Cleveland Union Terminal passenger line, its status as a slow freight line became apparent in the condition of the trackwork. 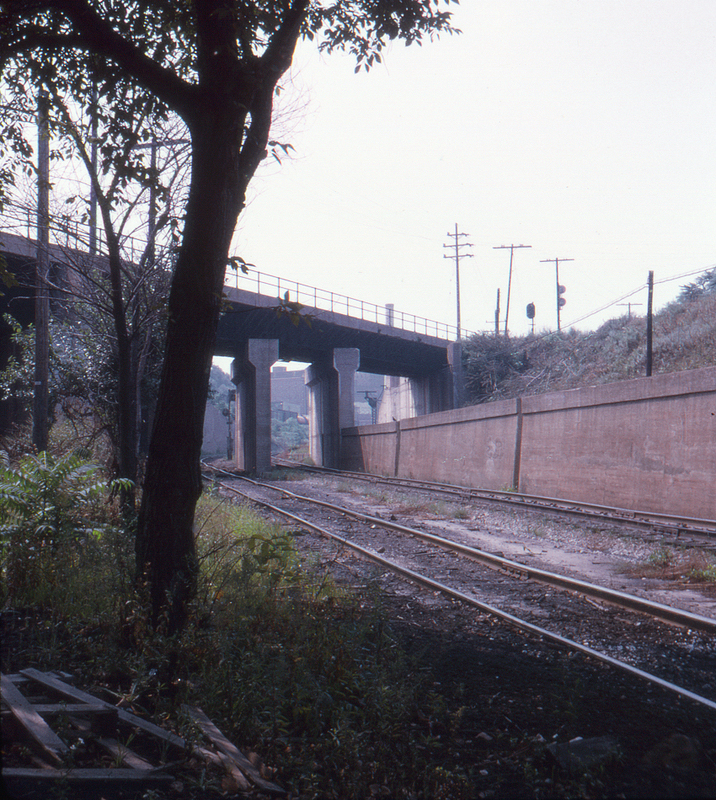 This view of the area known as Cloggville is looking south; the Cleveland Union Terminal line is hidden by the retaining wall on the right. The Nickel Plate Road's (Norfolk & Western) mainline crosses overhead. Although the Cleveland Union Terminal electrification was no longer in use, one of the catenary poles can be seen just past the Nickel Plate Road bridge. The signals visible at the top control the connection of the Nickel Plate's mainline with Cleveland Union Terminal trackage. This page posted 10/1/2017; revised 7/1/2018. Text and photo ©2017 Lamont Downs.